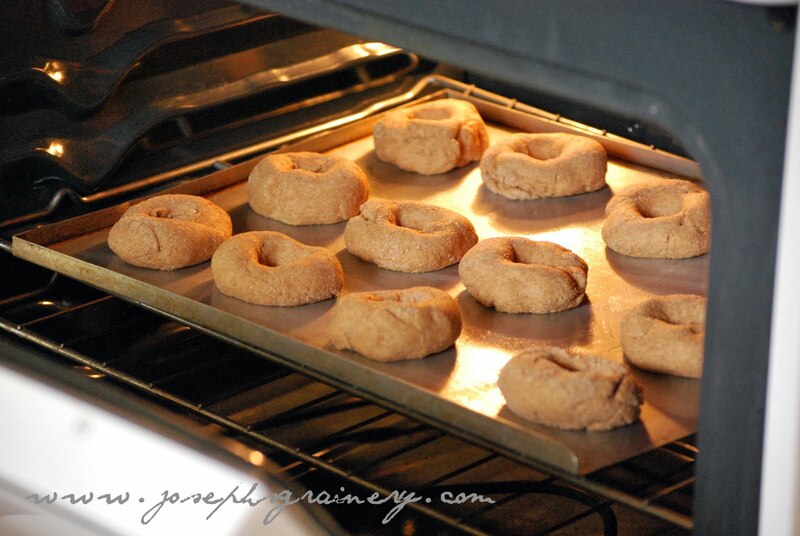 Whole Wheat Bagels fresh from the oven. The berry breakfast bars MaMa made awhile back where such a hit and so convenient for eating on the go, that she decided she'd make another grab-n-go breakfast item. With everyone getting ready to start a new school year (except for me, I still have a few years), these bagels are the perfect in-a-hurry breakfast with a little cream cheese and homemade jam. 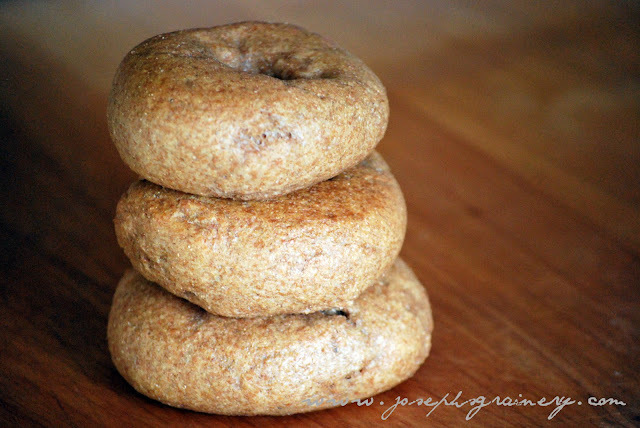 As far as bagels go, this recipe is very simple and easy. You could make enough for the whole family for a week's worth of breakfasts in just about an hour. You'll love this whole grain goodness! Directions: Stir together 2 cups of the flour, the salt and yeast. Add in the warm water and 3 Tbsp of honey. Gradually add in the remaining flour. Knead the flour (or let your mixer with the bread hook do the work) until the dough is smooth and elastic. Cover and let rise for about 10 minutes. Divide the dough into twelve equal parts. Almost equal parts of dough waiting to be turned into bagels. Set your timer for 20 minutes. Begin shaping the pieces of dough into bagels. MaMa forms a ball with each piece, then squishes it flat at bit, and then pokes her thumb through the center to create the opening. Lay them on a greased cookie sheet. Let them sit until the time goes off. Once the time goes off, turn the broiler on in your oven. Broil your bagels for 2 minutes on each side. Meanwhile, bring a large pot of water to a boil. Stir in the remaining 1 Tbsp of honey. Place 4 bagels in the boiling water and simmer for 7 minutes, turning the bagels at the half way mark. Remove the bagels from the water and place on a towel. Once all of the bagels have been boiled, place them on a baking sheet and bake at 375 for 25 minutes or until the tops are golden brown. 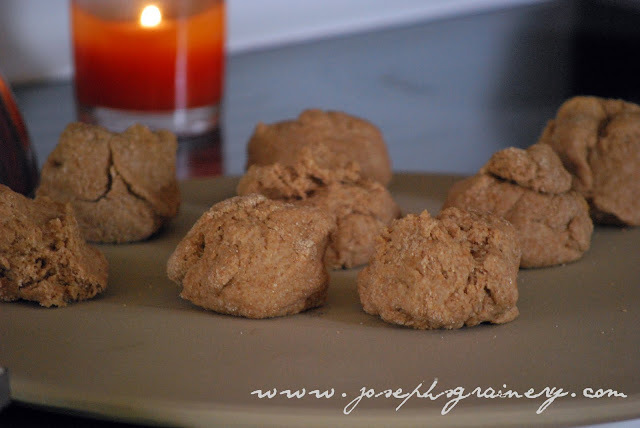 We found this recipe on Heavenly Homemakers.